Disney Cruise Line has a membership rewards program called the Castaway Club which, depending on your needs, may have an impact on your cruise experience. 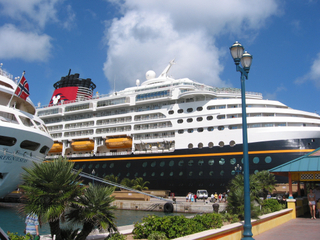 Sailings on any of the Disney cruise ships count toward your Castaway Club status. What exactly is the Castaway Club? This is a method Disney uses to reward repeat cruisers. It works somewhat along the lines of a frequent flyer program in that the more you use the service (Disney cruising), the better your “status” and the more perks you get. What are the status levels? If you’ve never taken a Disney cruise before, you are a First Time Guest. Guests who have completed 1 to 4 Disney cruises have Silver Castaway Club status. Guests who have completed 5 to 9 Disney cruises have Gold Castaway Club status. Guests who have completed 10 or more Disney cruises have Platinum Castaway Club status. There may be some rare occasions, such as a Disney cast member cruising on business (tough life, eh? ), where a voyage might not count toward your Castaway Club status, but the vast majority guests will be able to count all their Disney cruising toward their status level. So what does having status mean? There are a number of benefits available to all Castaway Club members, including “Welcome Back” stateroom gifts, and priority check-in at the port terminal. As your Castaway Club membership level increases, the benefits increase. For many guests, one of the chief benefits of Castaway Club membership is that the higher your status level, the earlier access you have to reservations for many aspects of your cruise including port excursions, on-board dining at the adults-only Palo and Remy, spa experiences, and some childcare situations. 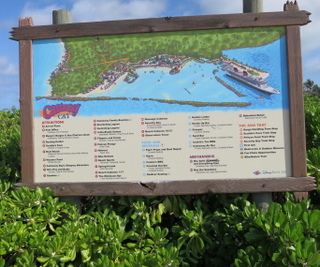 The more Castaway Club status you have, the earlier you can book excursions on Castaway Cay. What are the booking windows at each level? First Time Guests may make reservations 75 days prior to sailing. Silver Castaway Club Guests may make reservations 90 days prior to sailing. Gold Castaway Club Guests may make reservations 105 days prior to sailing. Platinum Castaway Club Guests may make reservations 120 days prior to sailing. It might. While some port activities rarely become fully booked (bike rentals at Castaway Cay), other experiences are in short supply. For example, there are only 21 private cabanas on Castaway Cay, split between the family and adult beach areas. With several thousand guests on board your ship, competition for these private oases can be fierce, and Castaway Club members get first crack at them. If you’re traveling in the peak season, it may be all but impossible for a First Time Guest to be able to reserve a cabana. Other popular experiences are dining at Palo and Remy on days at sea, massages at Castaway Cay, and Flounder’s Reef babysitting during show times. Does everyone in my party have to be a Castaway Club member for me to take advantage of early booking? The higher your Castaway Club status, the better chance you have of getting the Palo seating time you want. It depends. The Castaway Club benefits allowed for each stateroom area determined by the Castaway Club member with the highest status in that room. For example, if I’ve been on a few more cruises than my husband (lucky me) and my Castaway status is higher than his, I can make reservations for both of us at my higher status level. However, if we’re also traveling with our neighbors, First Time Cruisers staying in another stateroom, even though they are part of our party, they can not take advantage of my higher status level. Effectively, Castaway status on any particular cruise is applied by stateroom, not by the total party. Keep this in mind if you’re planning an activity for a large group. Not everyone will have equal access to reservations if members of the traveling party have different Castaway Club status levels. Who do I contact if I have questions about my Castaway Club status? Give Disney Cruise Line a call at 1-800-449-3380. Tell us what your experiences have been with booking reservations for port excursions, spa experiences, etc. Do you think your Castaway Status mattered? Has any First Time Cruiser been able to score an elusive cabana reservations? Let us know in the comments below. Erin Foster is an original member of the Walt Disney World Moms Panel at DisneyWorldMoms.com, a regular contributor to TouringPlans.com, and co-author of The Unofficial Guide to Disney Cruise Line. She's been to WDW, DL, DL Paris, Hong Kong Disneyland, Aulani, DVC Vero Beach, and DVC Hilton Head. She's a Platinum DCL cruiser and veteran of 10 Adventures by Disney trips. Erin lives near New York City, where she can often be found indulging in her other obession - Broadway theater. Erin can be reached on Twitter @MsErinFoster. 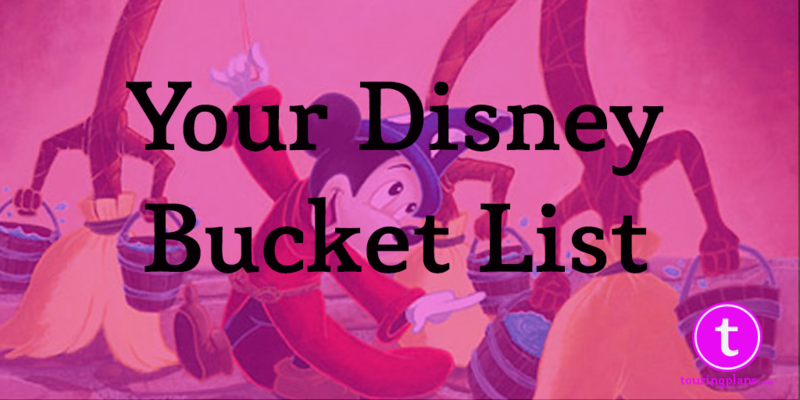 Disney Bucket List – What’s on Ours? Am I the only one that thinks these cabanas are highly overrated? People go on and on about them, but frankly they’re far too much money for far too little. Castaway Cay is a private island. If you get off of the ship early you will have no problem finding a few beach chairs in whichever location you desire. Food and drinks are included, so you can get as many cold drinks and snacks as you want on the island. While the beach can get crowded, it’s not like people are in your face… there are just others around you. I think I have better ways to spend hundreds of dollars! As for Palo, unless you want the brunch (another overrated thing, IMHO, but then I’m not a brunch person) you can get reservations. As a Silver CC member I was easily able to get the Palo reservations I wanted at 90 days out, and then able to switch them once I was onboard. This was a full cruise in June. 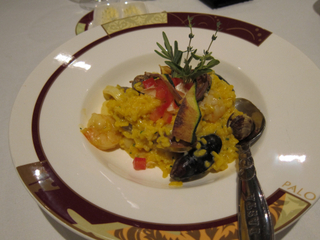 Also, Disney has so many wonderful restaurants on their cruise ships (that are part of the regular dining rotation). I don’t think a first time Disney cruiser would need to go to Palo, if they’re on a 7 day (or shorter) cruise. Really, why pay the extra $20 (is it still $20?) per person when the ‘regular’ restaurants are just wonderful? Maybe if you’re planning a ‘romantic getaway’…? So IMHO, I don’t think it’s a big deal for the first time cruiser to miss out on cabana rentals and Palo reservations. I have personally cruised Disney multiple times without these things and had a wonderful time! I like the idea of a cabana, but I am TOTALLY with you on the price. I think if we ever traveled with a group and could split the cost, it would be a nice luxury. As for Palo, I disagree. My husband and I truly love the brunch. We have eaten brunch on 2 of our 3 cruises. By eating an early-ish brunch, we don’t miss dinners, which we truly enjoy. I do agree that the food in the main dining rooms is delicious. I hit the p ostbutton too soon! What I was trying to say is that I believe the Palo food is a little better than main dining rooms because it is prepared on a smaller scale. Oh, I don’t feel flamed! But I do disagree with you on a couple of points. First, the 3 main (rotating) Disney restaurants on the cruise ships are so highly themed that they essentially are specialty restaurants. Additionally, I would say that while the service at Palo is better (and the atmosphere more quiet/adult) the quality of the food is similar to the main restaurants. So my point is simply that for the first time cruiser (the one who makes reservations last and is theoretically ‘missing out’ by not going to Palo) that they are NOT missing out: they will get far more interesting experiences and similar quality of food in the main 3 restaurants. Once they’ve been on a Disney cruise or two, if they’re a little bored with the regular restaurants, then Palo is worth a try. I am CC Gold and have yet to be able to book a cabana. Concierge level guests also have booking priority for these – the same as Platinum CC if I recall correctly. I know this was not a Palo/Cabana blog entry, but it seems to be the fun debate so I’ll weigh in, since we got off the Dream four days ago and ate at Palo for the first time, and had a Cabana. As for Palo, on our 3-nighter we are glad we did not eat there. The rotational restaurants are great and there’s no real need to do dinner elsewhere. On our 4-nighter we thought Palo was wonderful and easily worth the upcharge (and tip.) Our waiter was fab, the food was special, the view was beautiful, and the chocolate souffle rocked. We’d eat there again on a 4+ nighter. As for the cabana, we’d rather pay less for the room and have the cabana then pay for a better room and not have it. We feel it’s nice to have the safe to store our valuables, great to have the shower to get the salt and sand off, nice to have the bicycle rental and snorkle equipment included in the cost of the cabana, helful to have a place to hide during the summertime thunderstorms, etc etc. It’s not cheap, but we do like it and try to save $’s elsewhere to have it. Suppose we have a different view of renting a Cabana, we live at the beach and enjoy being on the beach therefore w have no desire to rent a Cabana. We don’t worry about valuables because we do not take them with us because we know we will spend no money on the Island. We have dined at Remy and Polo once each so we could see if we enjoyed the experience, they were were ok at best. We are not “Foodies” we rarely eat meat and find that the quality of the meals offered at the various restaurants always exceed our expectations. Actually our favorite place to dine is at Cabanas, we can get exactly what we desire and stay with in our “Healthy Diets.” We often skip our rational dining location and go to Cabanas if it is open that evening.